This game is a free puzzle game consisting of 07 shapes, which together can form various shapes. Play very simple with endless possibilities. The objective is to form a specific shape using 07 shapes. 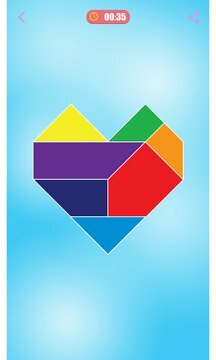 * More than 45 designs: square, map, knife, heart, boat-shaped, etc and so on. * Two visual themes are available with 02 play modes: regular & masters. * System for masters’ level. * Level later categories are more challenging. * Please click the button on the top of the screen to flip it. Useful: Helping children develop thinking IQ, helping students learn math and geometry helps adults play funny relaxing and rewarding. 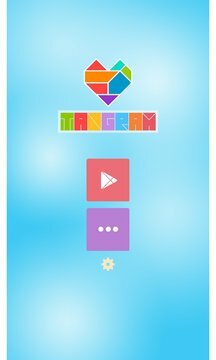 This game is Tangram VietNam, Tri Uan Puzzle or Kids puzzle.